Improved precision and control in electrosurgery. 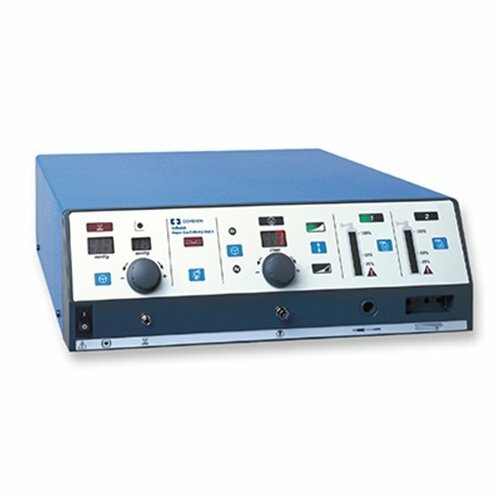 Now the benefits of precise, controlled argon-enhanced electrosurgery are available in a compact, easy to operate unit - the ValleyLab Force Argon II system. Gas flow control enhances patient safety. The low flow rate, designed to help prevent overpressurization in laparoscopic procedures, is automatically invoked at system start up. The standard flow rate can be selected for open procedures. 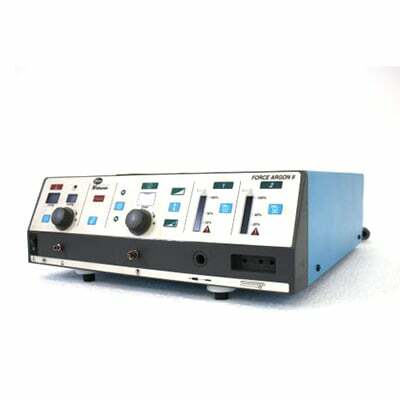 The laparoscopic overpressure monitor helps avoid excessive peritoneal pressure in laparoscopic surgery. Audio and visual alarms warn of an overpressure condition. Flexible system design reduces space requirements and offers optimal surgical flexibility. 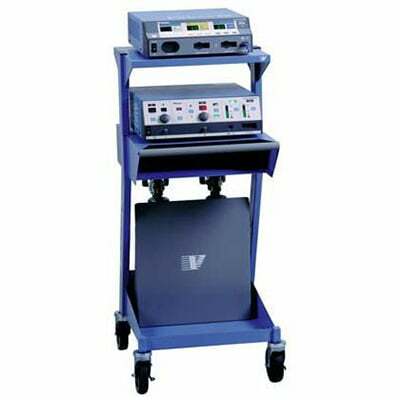 The compact unit can be cart or ceiling mounted and is compatible with a full range of Valleylab electrosurgical generators and argon accessories. The universal mounting system is designed to accommodate several pieces of equipment efficiently and conveniently. Compatibility with the ValleyLab ArgonPlus handset allows the ValleyLab Force Argon II system to be used with this four-function handset and a variety of electrodes designed for open and laparoscopic surgery. The Alarm tones are set at a minimum 65 dB at 1 Meter and are adjustable.